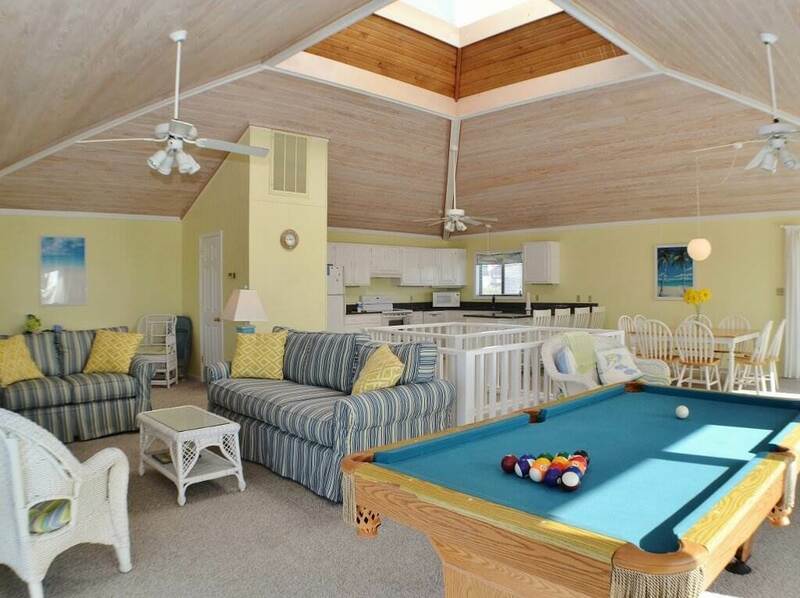 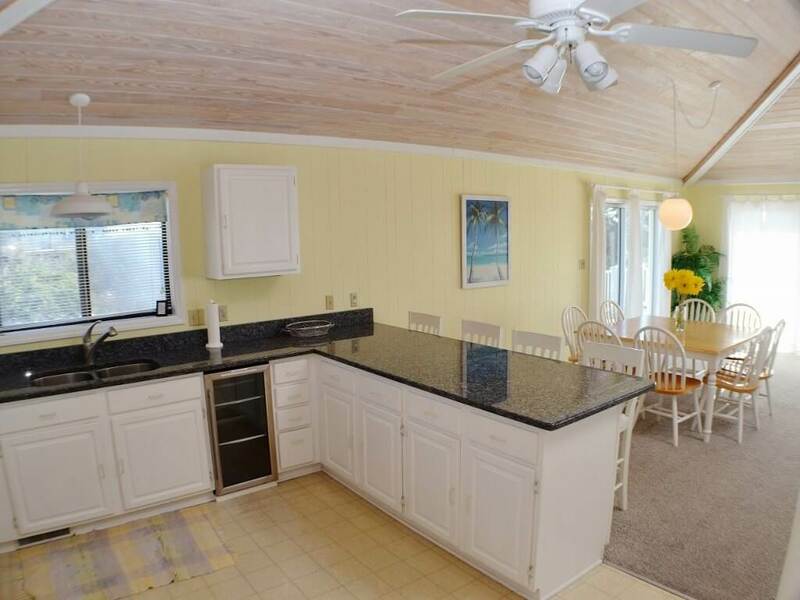 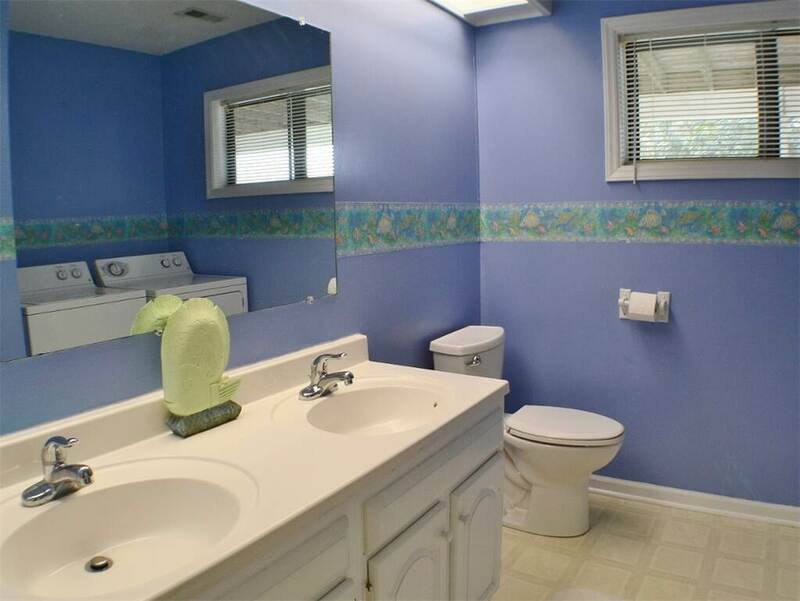 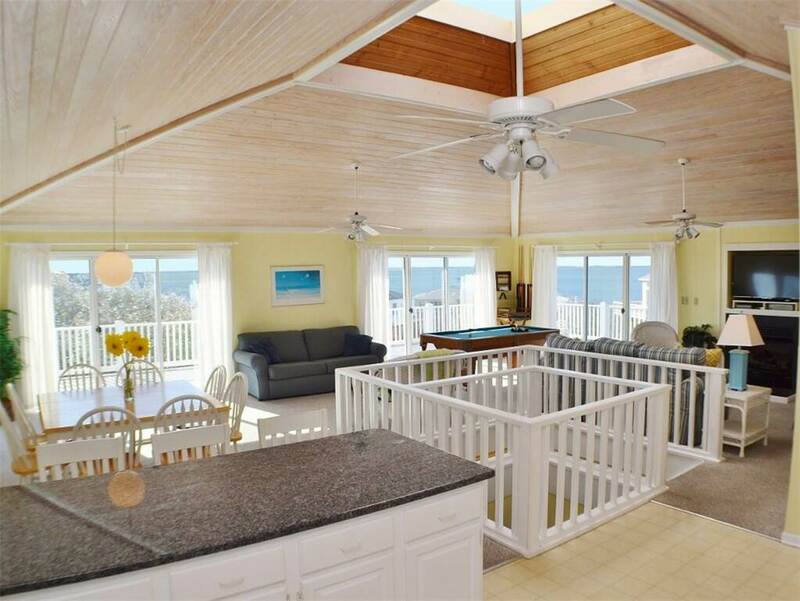 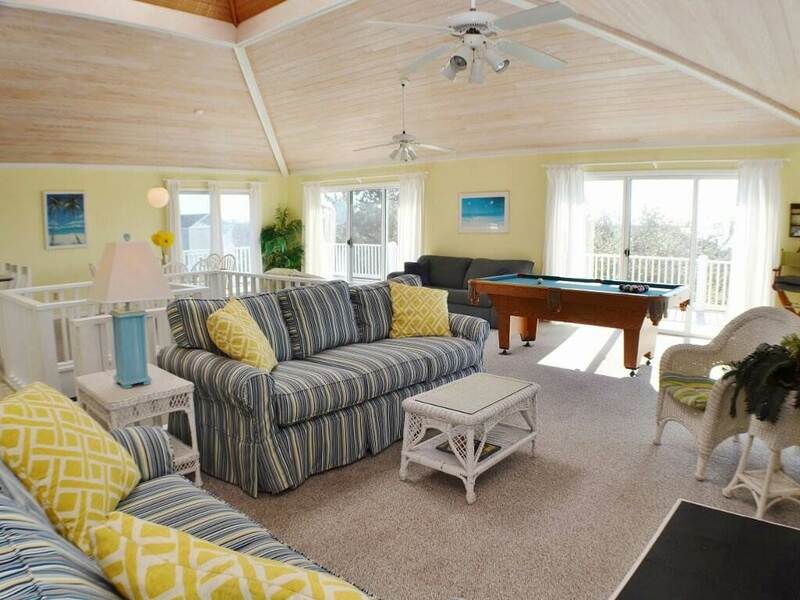 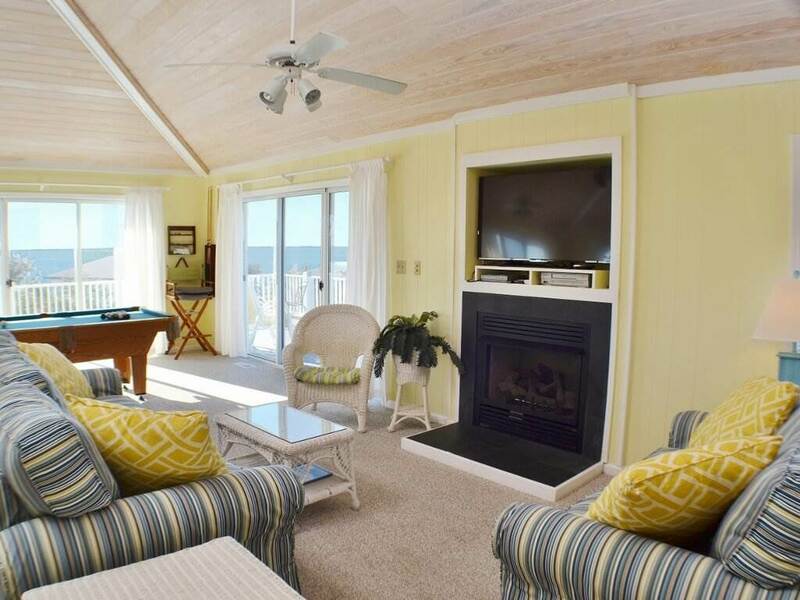 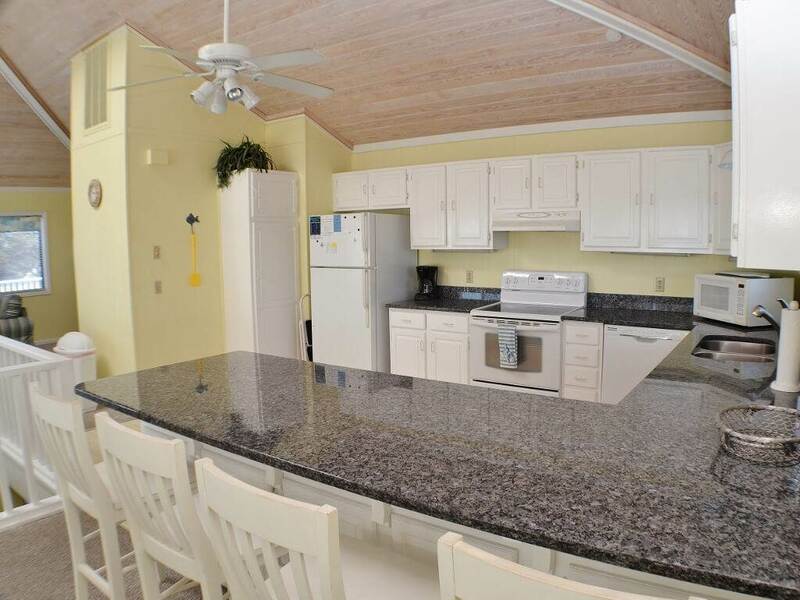 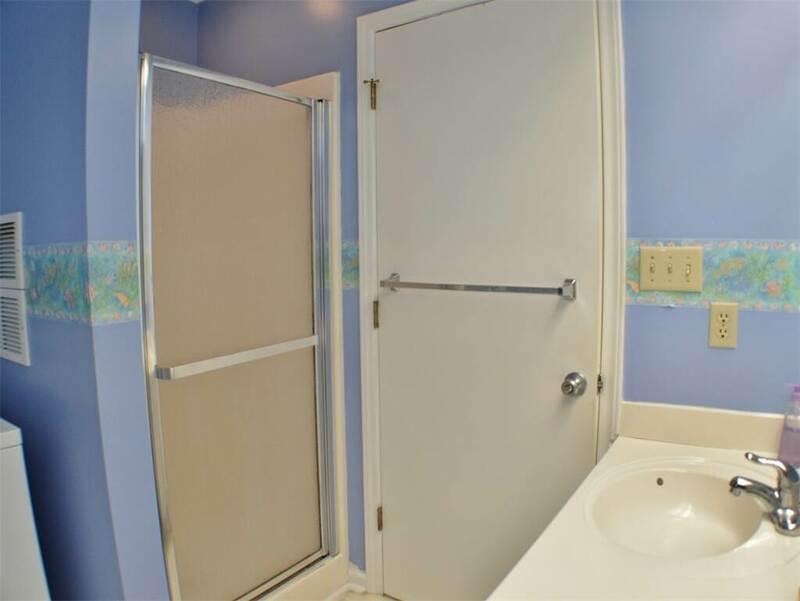 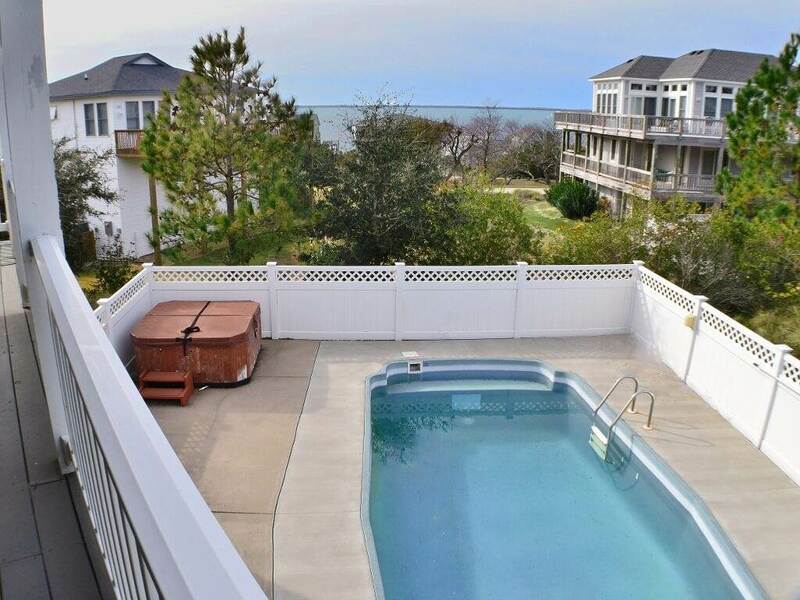 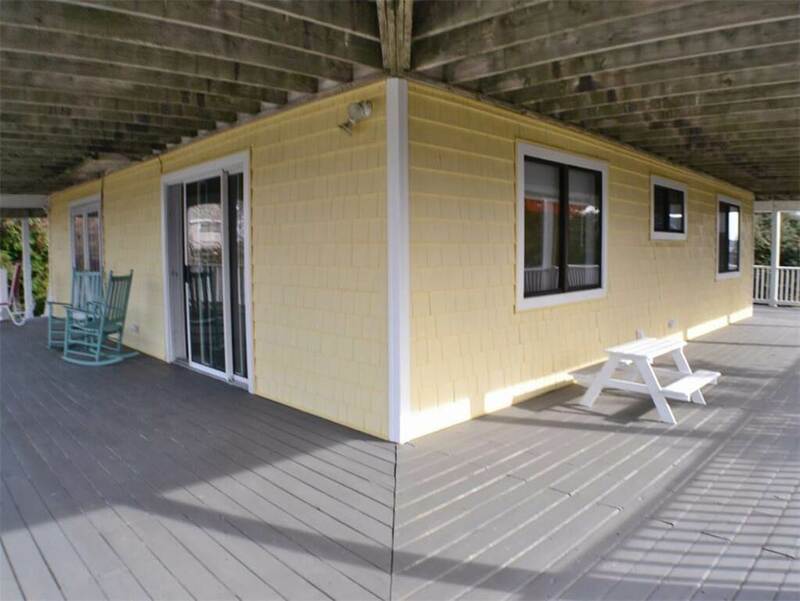 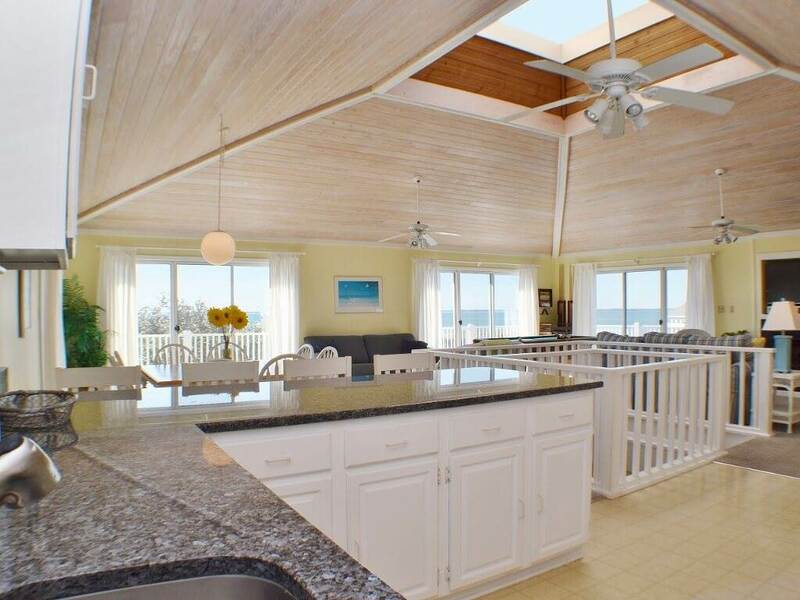 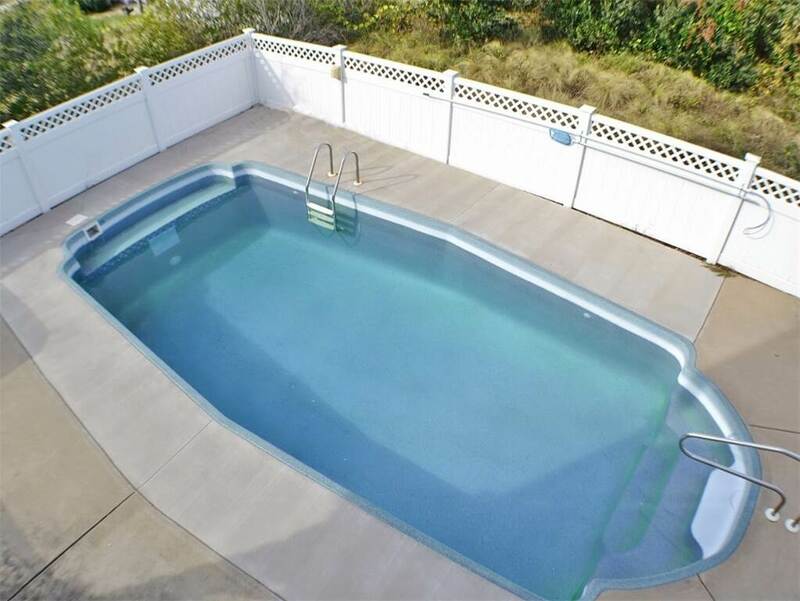 You won’t believe the amazing water views in “Banana Bonanza”, a 4 bedroom 2.5 bathroom OBX vacation rental nestled on a high hill in Duck, NC. 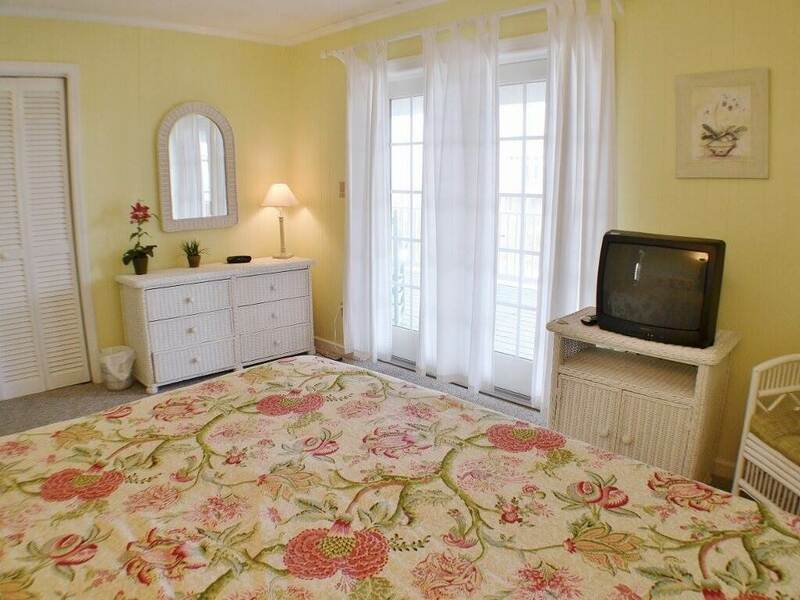 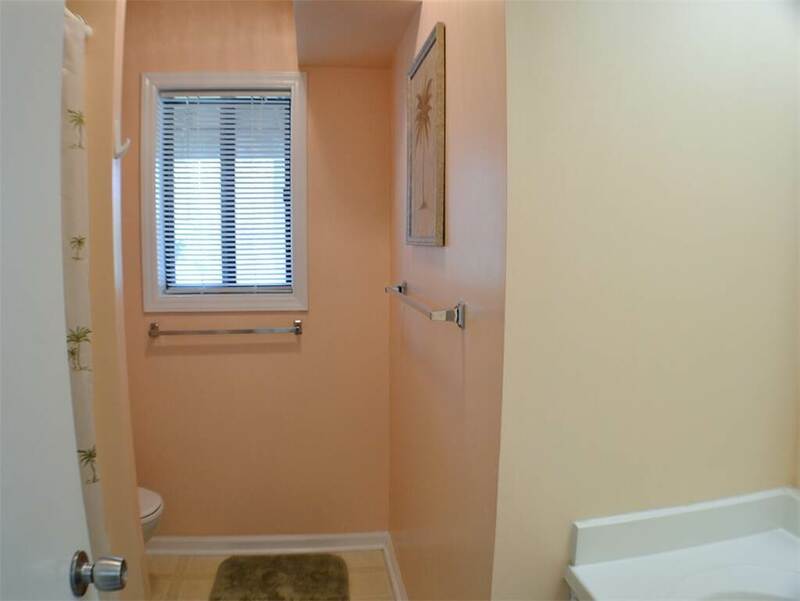 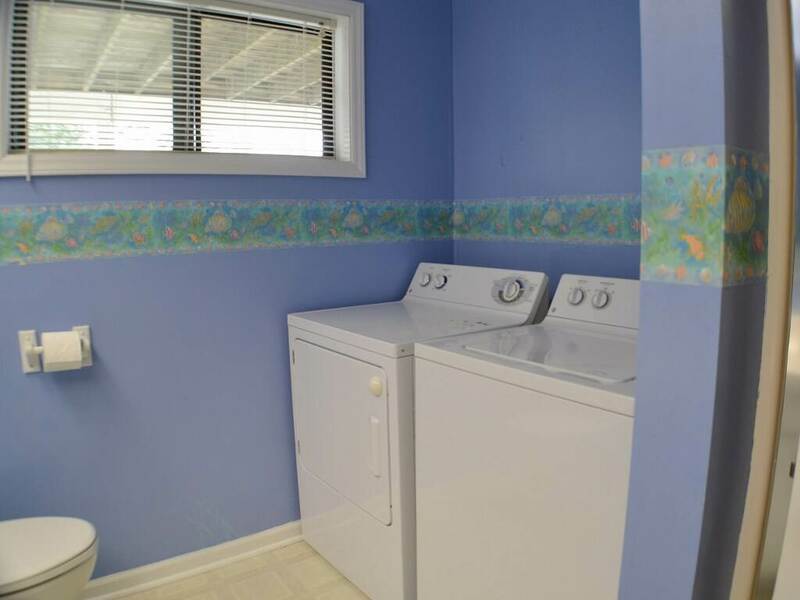 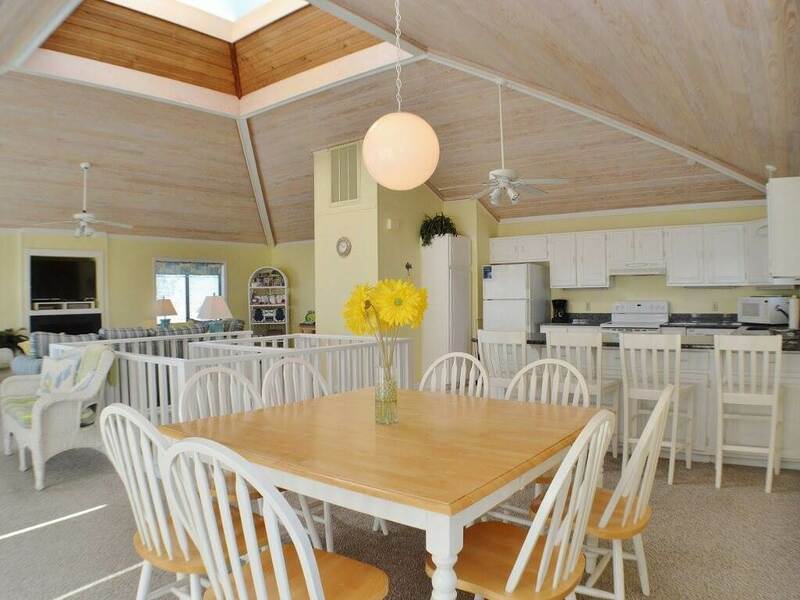 The top floor of this rental home is laid out around a beautiful, large skylight… leaving the area wide open for your family to sprawl out while remaining within earshot. 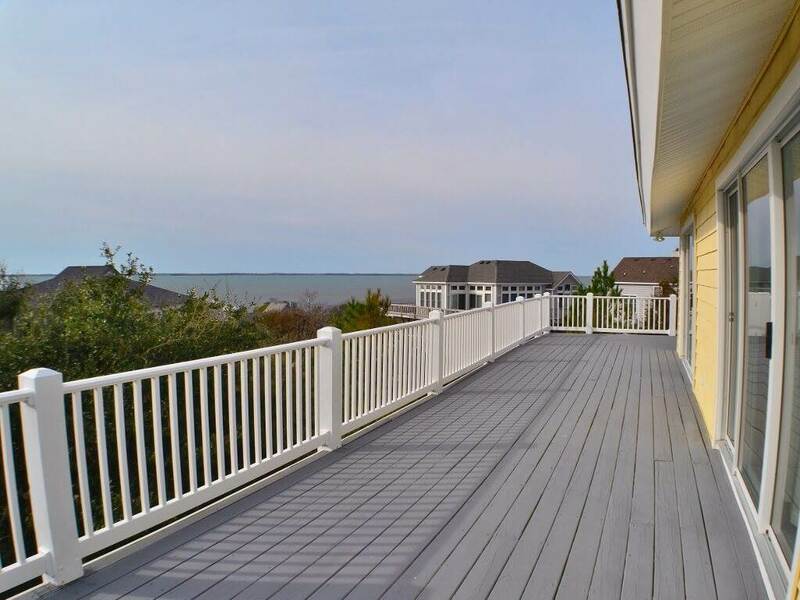 Enjoy the amazing views on the top wrap-around deck and enjoy beautiful sunrises and sunsets. 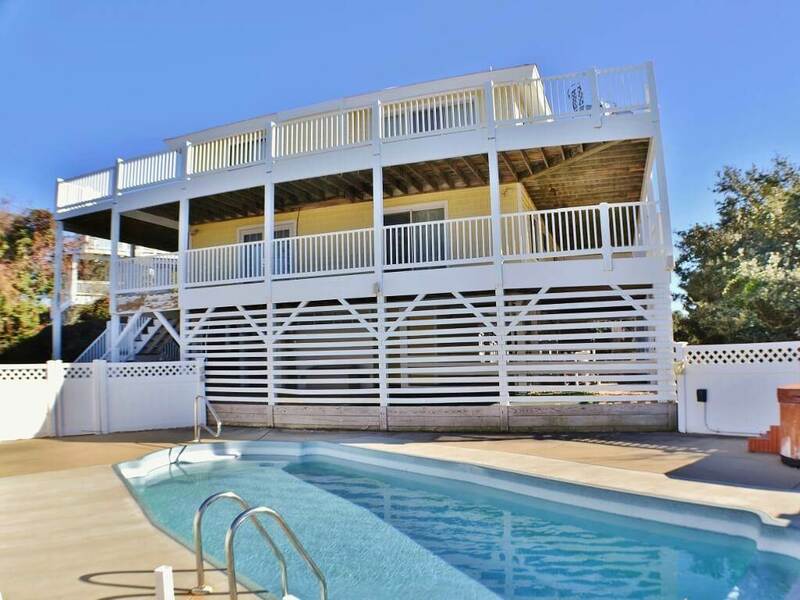 Your family and friends back home will be very envious as soon as they see your photos! 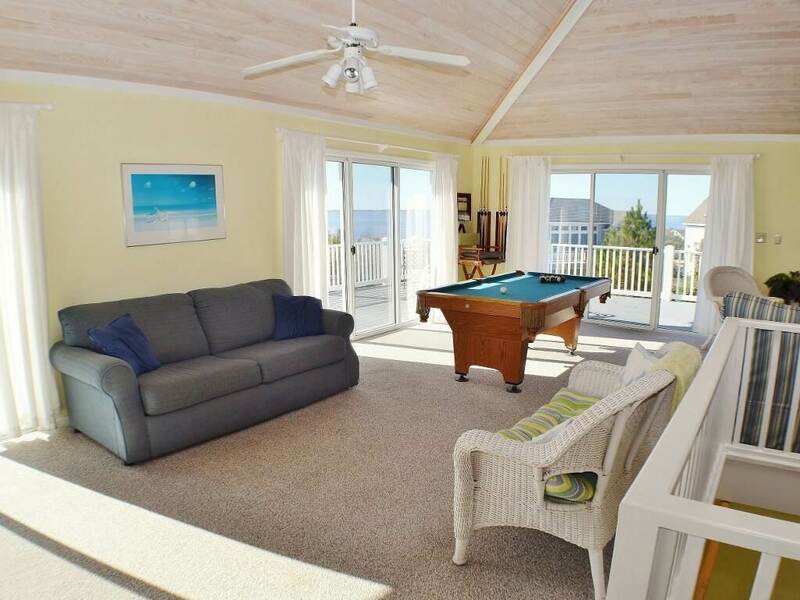 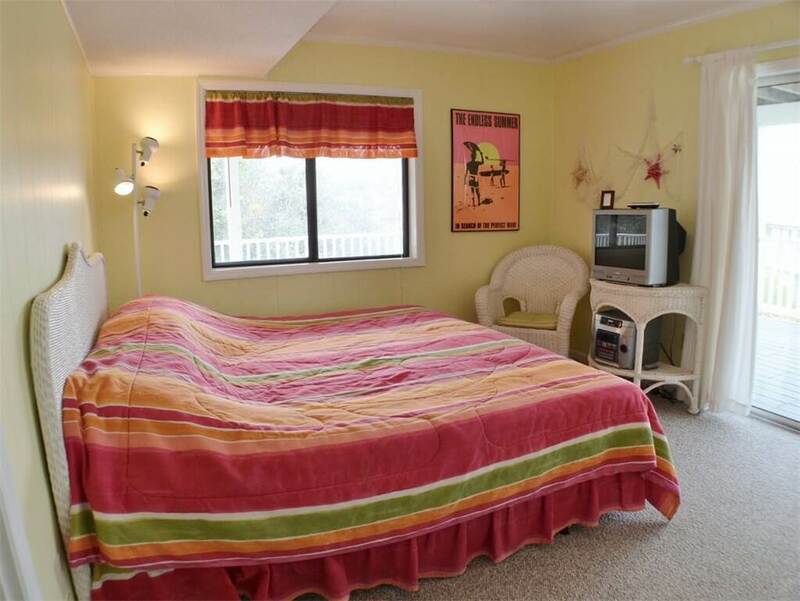 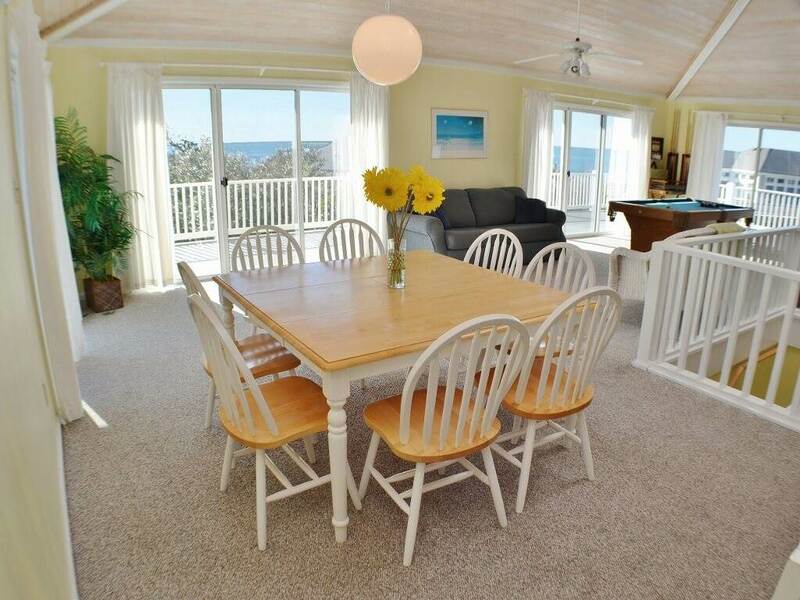 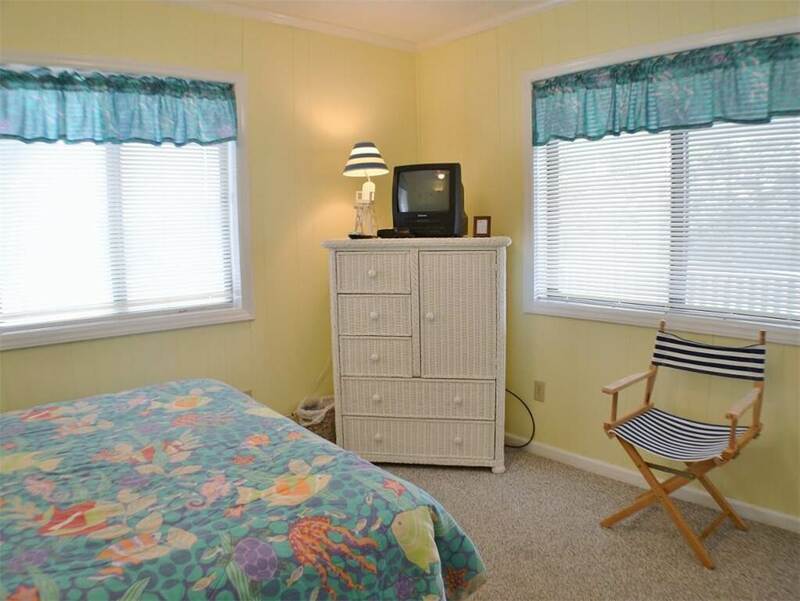 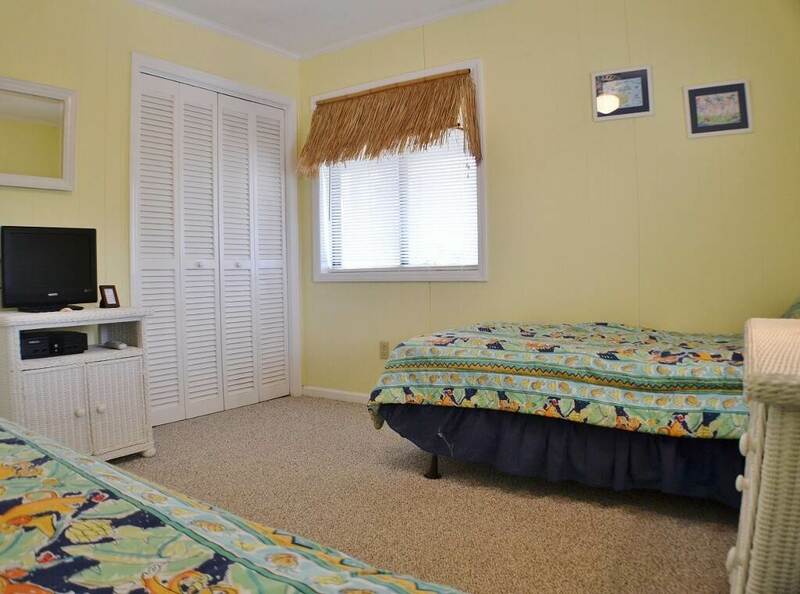 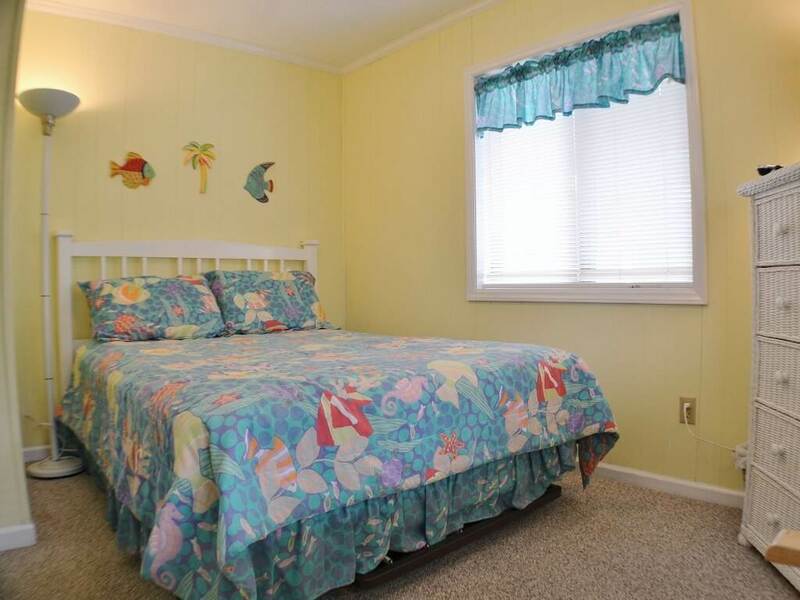 The beach is the primary attraction on an Outer Banks vacation, but there’s plenty more around you in this home. 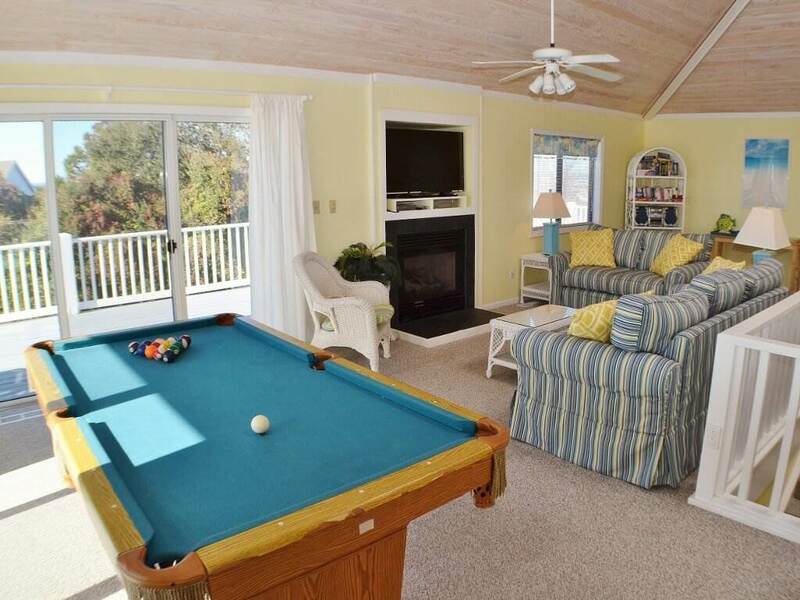 Get your putting up to par with the 12’x14’ putting green or Que-up on the 3’x5’ pool table as you watch the sunset from the great room. 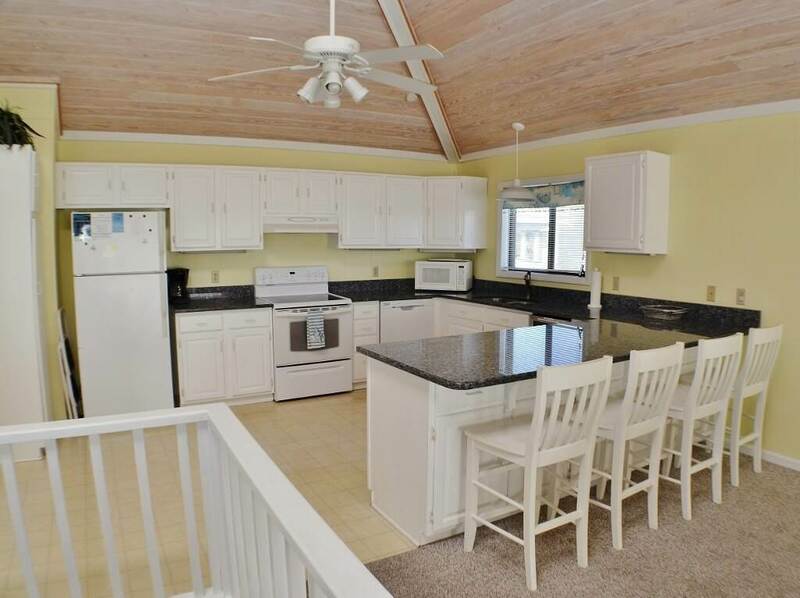 This rental home is also within biking distance of the village of Duck, where you can spend the day shopping, dining, and enjoying the great outdoors. 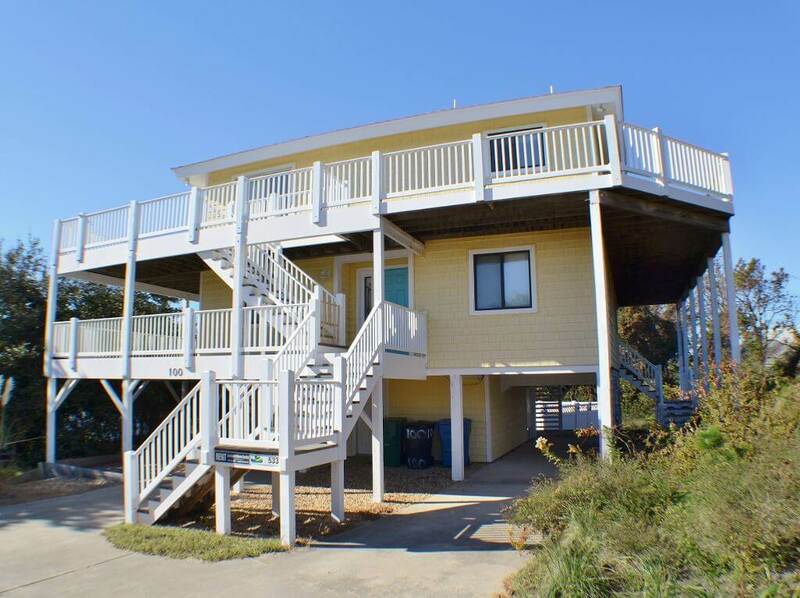 Behind the shopping complexes there is a public boardwalk where you can stroll and even try your luck at crabbing (make sure you have a fishing license). 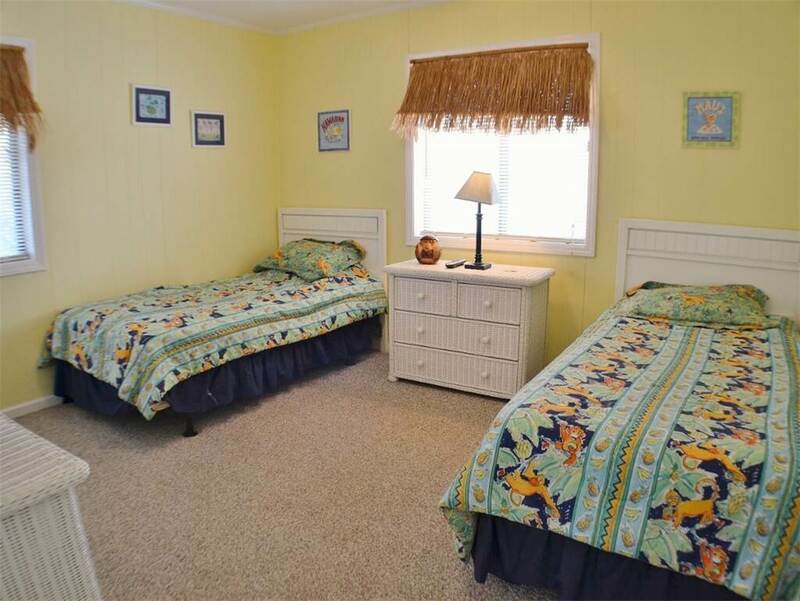 You can’t go wrong with “Banana Bonanza.” It is a classic beach house with the most welcoming of feelings. 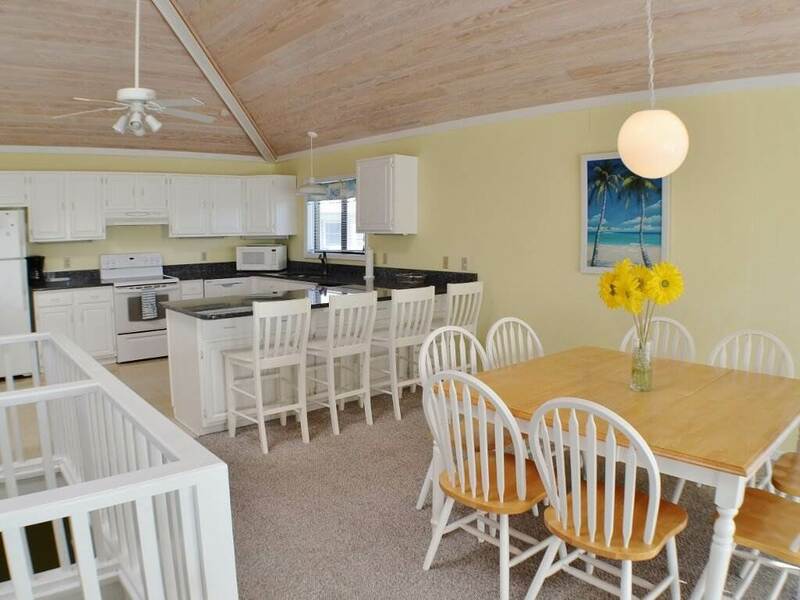 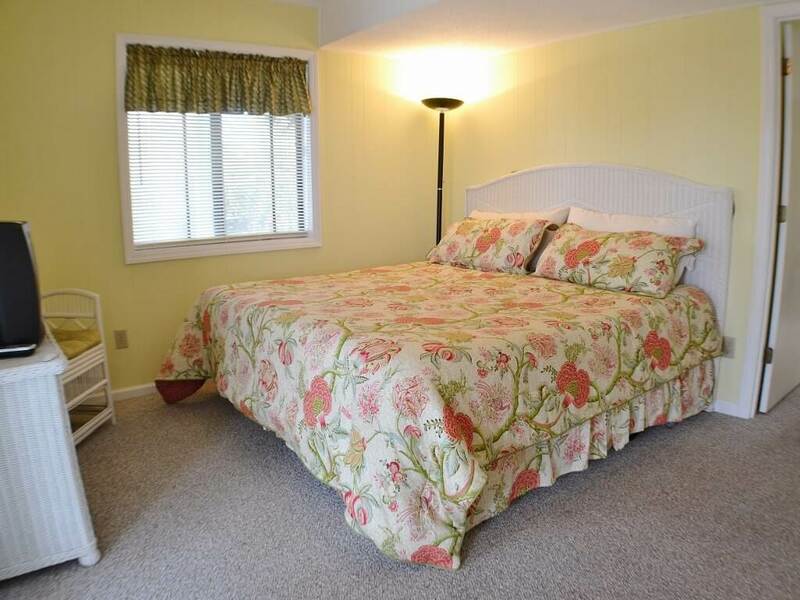 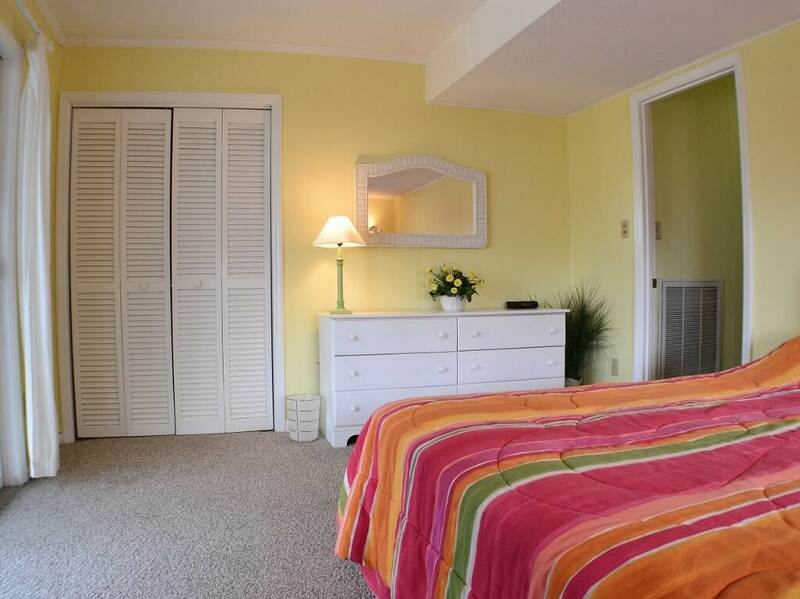 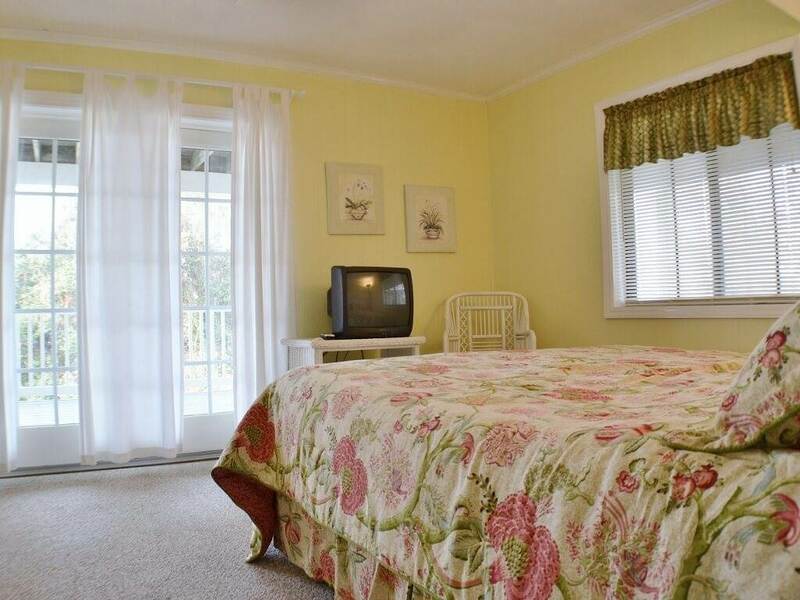 The space and layout is perfect for families looking for an easy-going vacation with the added perks of amazing views and close vicinity to attractions.